Akwa Ibom and dearth of good-looking politicians! There’s a crisis in Akwa Ibom, sorry, Nigeria. We’re running out of good-looking people. No, I don’t mean deceptive facades of dubious politicians. I mean people who “look” at good things and bring them to actualisation for the general good! Ok, forget the good-looking part. “Ugly” politicians, these days, are running away from the tag that (should) make(s) them famous(?) – politics! They are supposed to be positively known for doing good in politics. But they now hide behind their fingers. Notorious! Ugly and ridiculous sight! If you think I’m lying, try greeting a typical one “good morning”. Then, ask him: “Sir, why are good politicians scarce? Can you tell me why things ‘change’ in the polity yet remain the same”? I tried it yesterday and “Oga Boss” twisted his mouth like Kia Picanto and started a recitation: “Why are you asking me? It’s not my fault. In fact, I am not only good but good-looking. Personally, I do not play politics with development. It took one million years for Nigeria to go bad like this. How do you expect us (his party) to ‘change’ the ills of yesteryears so soon?” Oh, they are not playing politics with human lives, either. Neither are they playing politics with welfare of the citizens, etc. Ok, so if politicians are not “playing” politics, what are they “playing”? Game! – says Tony Wright, a professor of Government and Public Policy at the University College London (UCL). Which is just his euphemism for politics. “Much of politics is a game, one which absorbs the participants, but puts off most other people”. At that point, good-looking politicians start disappearing. The nature of the “game” requires that politicians should pretend to be angry at the deplorable conditions of the masses. Bad news for the citizens is good tidings for their danshiki pockets. In the ensuing endless waiting “game”, the people develop wrinkles and get fed up with the unceasing point-scoring. But they also cease to believe what politicians say. The ugly politicians have only been merely playing “game”! Wright says, “this is the corrosive consequence of the game of politics. Everything that a politician says, or does, is treated with suspicion because of negative assumptions about why it is being said or done”. Politics, then, appears negative! Kill-and-eat! The sheep turns tiger. Good-natured humans metamorphose into horn-bearing demons. “Good-looking” politicians disappear! The game-playing aspect of politics makes people hate politicians. And Wright suggestion: To look good again, politicians should be more straightforward; answer questions honestly; avoid the routine point-scoring; stop always traducing opponents; work together where they can; ditch the spin; acknowledge the complexities and limitations of policy making; tell the truth about problems; admit they get things wrong—and generally behaving more like normal human beings. Phew! Long list! 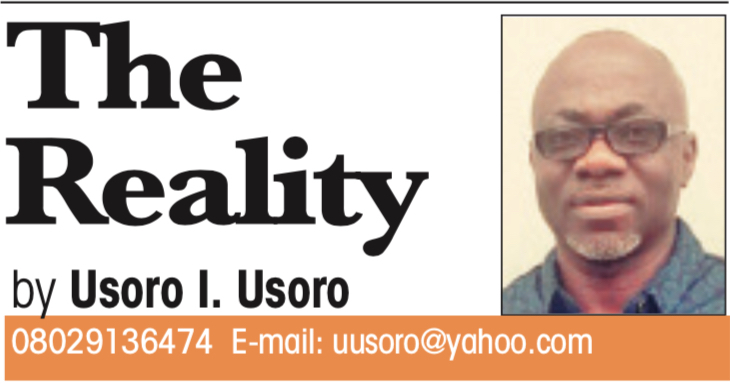 A tall order in Nigerian politics? Perhaps! Well, maybe, not completely! For, there are some who found their way into public offices, yet maintain their “beautiful” sides, against all odds. They shun the game of politics in preference for “good governance”. Take Governor Udom Emmanuel of Akwa Ibom State. So far, Emmanuel has approached governance like sports – the type that brings amusement, joy, relaxation, satisfaction, reward and hope! Perhaps, that is why he commits so much into sports development in the state. Where “ugly” politics dwindled the state’s fortunes in sports, Udom has became the first Akwa Ibom governor to win a national trophy with Akwa United Football Club – two trophies in three years! And under his watch, Ibom Angels emerged runners up in the 2017 Nigerian Female FA Cup. First time a female team from the state ever qualified for the finals of a major national competition. Team Akwa Ibom finished 2nd on the medal table at the 2017 National Sports Festival. A beautiful heart attracts positive energy! True! Udom Emmanuel is “good-looking”. Ask his wife and other women. But beyond the physicals lies a pretty spirit. He radiates warmth, preferring good governance to ugly politics. For him, governance, like sports, should be approached with focus, determination, commitment and team spirit. Such focus and commitment have in three years produced the Jubilee Syringe Manufacturing Factory; the Electric Digital Metering Solutions Manufacturing Factory; the Pencil and Toothpick factory; the Peacock Paint Industry, the fertilizer blending factory’; the coconut plantation; the Plastic Manufacturing Factory; Rice Processing Mill; among others. Ok, there are those who argue that Udom’s “beauty” can’t win a pageant. Red lips and smart look are no signs of competence, they insist. But a careful analysis of the “bad belle” shows they are judging a book by the cover. Evidence of the man’s good inner disposition is seen in what he does for the poor masses. He obviously derives immense enjoyment from making people happy. His face glows each time the masses jubilate as he commissions some projects. That spurs him to do more. Like giving N2bn interest-free loan to small scale entrepreneurs and constructing over 1,500 kilometres of roads across the state. As he connects with them, the people’s deep acceptance and appreciation appear like stamps on their faces. To God the glory goes – that a “good-looking” politician yet lives! So far, stories of hospitals becoming death traps in Akwa Ibom have fizzled out. Udom has either built, equipped or renovated the general hospitals across the state. Today, Etinan; Ikono; Ikot Okoro; Ituk Mbang; Iquita in Oron; Immanuel Hospitals in Eket, etc, have standardized medical facilities. His pedigree and integrity has further attracted goodwill to the state, making it the second in the country with the most Foreign Direct Investment. Check out the National Bureau of Statistics report. Good politicians are going extinct! We need more politicians with good hearts – those whose makeup naturally gears towards positive impacts on the masses. We need more who play less of politics and promote good governance! According to Wright, good governance is more than dishing out rules and regulations. “It is an attitude of the mind. It is about the ethical culture … and the behaviour of the people on the governing body”. Put differently, Udom is naturally and ethically wired towards goodness – good governance; good looks; good heart; good nature, etc! And one so wired demonstrates transparency, responsibility, accountability, etc. Ingredients like humaneness; maturity; liberality and accommodating spirit also boost good governance. Ask Wright!